Jan and Antonina Zabinski were Polish Christian zookeepers horrified by Nazi racism, who managed to save over three hundred people. Yet their story has fallen between the seams of history. 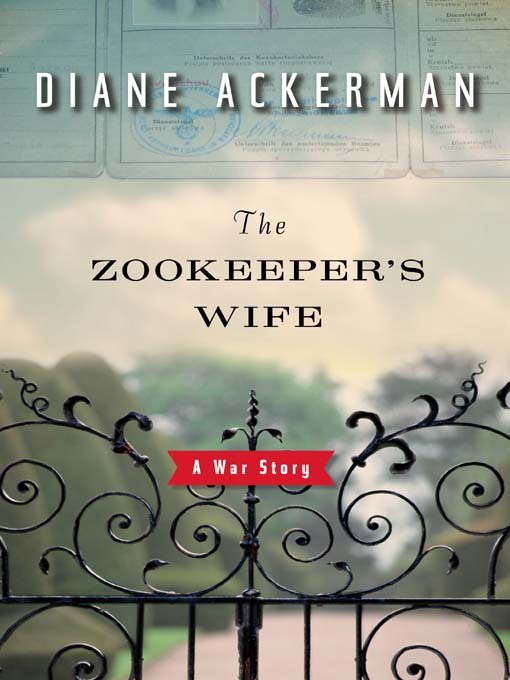 Drawing on Antonina's diary and other historical sources, bestselling naturalist Diane Ackerman vividly re-creates Antonina's life as "the zookeeper's wife," responsible for her own family, the zoo animals, and their "guests": resistance activists and refugee Jews, many of whom Jan had smuggled from the Warsaw Ghetto. Jan led a cell of saboteurs, and the Zabinski's young son risked his life carrying food to the guests, while also tending to an eccentric array of creatures in the house (pigs, hare, muskrat, foxes, and more). With hidden people having animal names, and pet animals having human names, it's a small wonder the zoo's code name became "The House under a Crazy Star." Yet there is more to this story than a colorful cast. With her exquisite sensitivity to the natural world, Ackerman explores the role of nature in both kindness and savagery, and she unravels the fascinating and disturbing obsession at the core of Nazism: both a worship of nature and its violation, as humans sought to control the genome of the entire planet.